The Barbie, 'You Can Be Anything High Tea' at The Langham these Spring school holidays has one simple, inspiring message for kids. Spread your wings and dream big! Being held for the entire fortnight, there are no limits at the Barbie High Tea during the September school holidays. Show your true colours and 'Be anything' by arriving in dress-up. You might be a movie star, vet, police officer, fashionista or fairy Princess. Maybe you're a mermaid, nurse, dolphin trainer or even a pilot. Everyone is welcome at this pink infused High Tea where the emphasis is on food and fun. 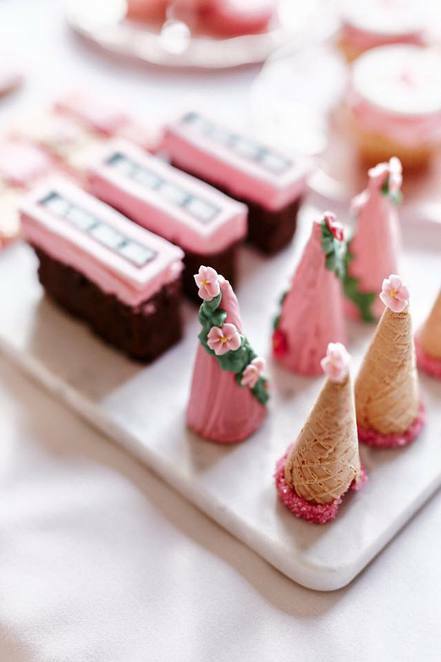 The Barbie You Can Be Anything High Tea is being held at the Melba Restaurant at The Langham on weekdays from Monday 19th September to Friday 7th October 2016. There are two sittings each day, either 10am to 11.30am or 12noon to 1.30pm. Sweet treats on offer, especially for kids, include artist macarons, Fairy Princess cone castle, pilot plane cupcakes, doctor heart line cookie and band aid wafer, fashion designer measuring tape, baker mini meringue cup, fairybread, warm scones, cucumber sandwiches, raspberry cordial and hot chocolate. 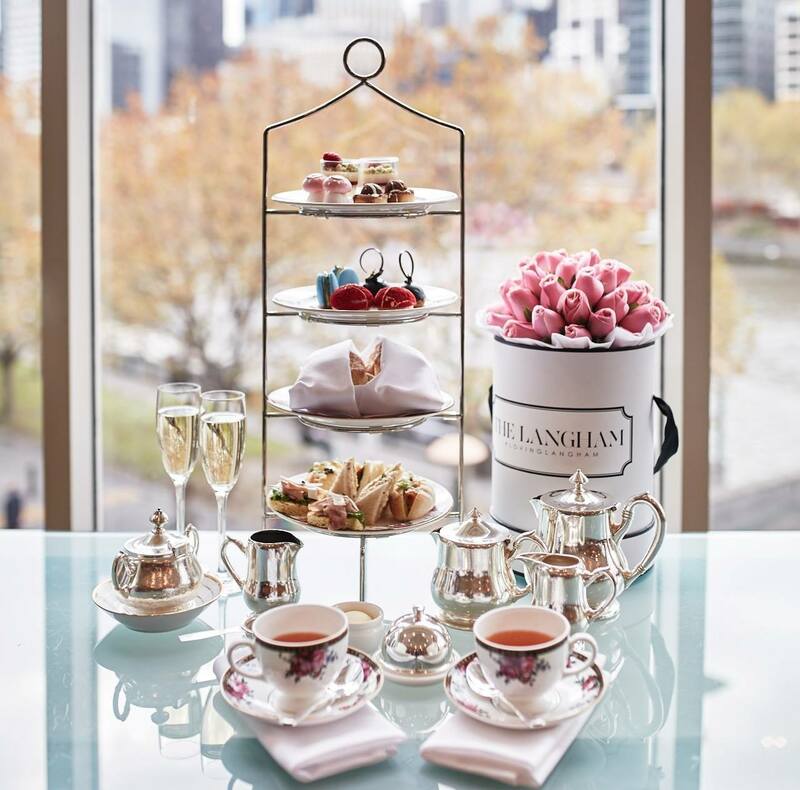 At the same time adults can enjoy the Wedgwood High Tea by The Langham. Treats for adults include salted caramel and macadamia crunchy tart, Valrhona chocolate sphere, passionfruit and mango macaron, ivory chocolate mousse with raspberry and pistachio, strawberry citrus choux, mushroom shaped meringue with Chantilly cream, smoked salmon, cucumber and horseradish crème fraiche, smoked ham with tomato chutney and English cheddar, avocado, watercress, heirloom tomato salad with baby basil, free range chicken with chives and lemon thyme and traditional fruit scones & buttermilk scones. Enjoy any day during the school holidays for $35 for children aged up to 12 years or $49 to receive a career of the year Barbie. There is a picture of the doll on The Langham website. Adults are $55 per person and the Wedgwood High Tea is served with a range of tea, espresso coffee and a glass of sparkling wine. Please note: A $5 per person surcharge applies on the AFL Grand Final Eve public holiday on Friday 30th September 2016. When the good people at the Melba Restaurant invite you to be 'anything,' they are certainly encouraging dress-ups. But please be aware there will NOT be any entertainment or activities throughout the event – and there is a disclaimer on the website asking anyone organising a group to ensure all parties are aware that this event will not include any entertainment other than the High Tea. Bookings can be made through the online registration form or by calling 1800 641 107. The Melba Restaurant at The Langham is located at 1 Southgate Avenue, Southbank. Cost: Children: $35/$49. Adults $55.